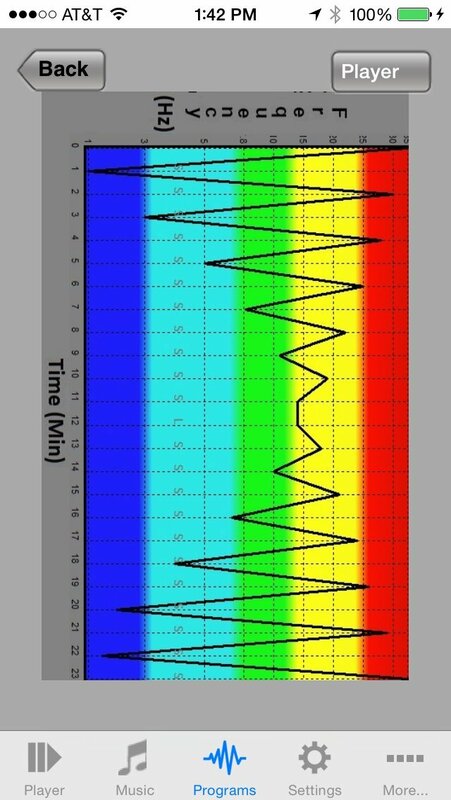 FREE “mindLightz” iOS App Utilizes the Supercomputer in Your Pocket! Worry-Free 1 Year Warranty. Easily Mix Your Fav Audio with Heartbeats or any 25 Sound Effects + Binaural Beats or Pulsed Tones. “State of the Art” L/S System - Compact, Easy to use/carry, No Tangled Wires, Best VALUE of any AVS. Seamlessly Stream Spotify, Apple Music, Pandora etc. with any of the 84 Built-in L/S Session. 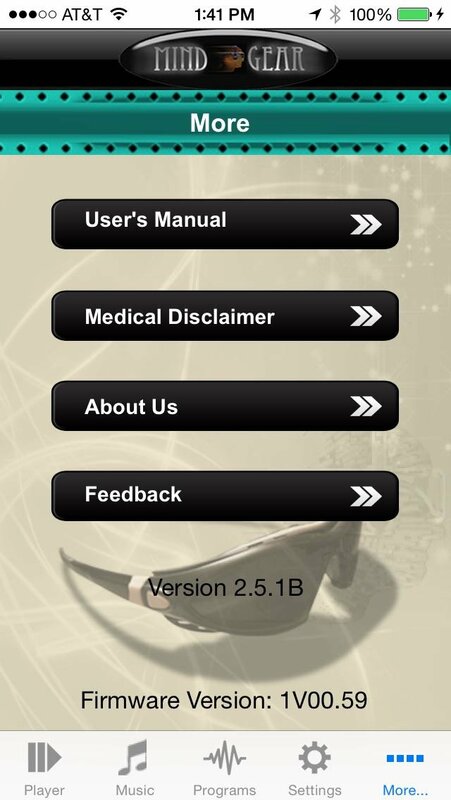 Building on our 25 years of experience in AVS technology, we began this latest breakthrough by merging our elegant, powerful & intuitive mindLightz OS App with the latest mobile Bluetooth 4.0 technology. This allowed us to re-imagine, redesign and shrink the entire electronics inside a custom pair of comfortable ColorMatrix lightframes. Thus was born our latest creation mindLightz. the planet's first wireless AVS system. Each system includes a custom pair of Bluetooth 4.0 ColorMatrix Liteframes w/interchangeable headband and a USB recharging cable all packaged in a convenient and compact carrying case. . If you can find a better value in AVS systems, we say ... BUY it! 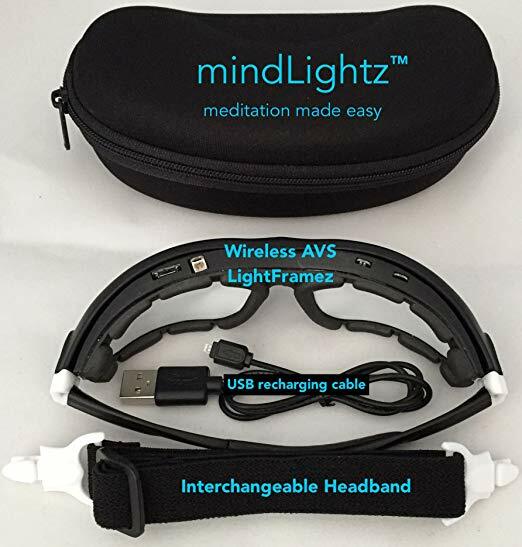 The wireless mindLightz ColorMatrix Lightframes are controlled by our free mindLightz iOS App via BlueTooth 4.0 Users must also have an Apple device with Bluetooth 4.0 support. The list of Apple products supporting BT 4.0 are: iPhone 4S or newer iPad 3 or newer - All versions (Retina, Air, Wifi, Cellular etc) iPad Minis - All versions (Retina, Air, Wifi, Cellular etc) 5th generation iPod Touch or newer.